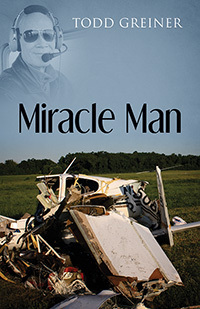 Todd Greiner’s “Miracle Man.” Most of the time, luck, fate, or good fortune is credited for miracles of that occur in people’s lives. Stories about the miraculous are shared on Reality TV shows like — I Shouldn’t Be Alive, I Survived, and Trauma: Life in the E.R. In this book, you will read the story of an ordinary man whose life was touched in an extraordinary way from the moment of conception by the sovereign hand of God.